The Big Bang Theory ended on a pretty crazy cliffhanger at the end of Season 8. During the episode, Penny and Leonard embarked on a drive to Las Vegas with the intention of getting married, but the adventure became slightly complicated when Leonard admitted he had cheated on Penny. The deed occurred some time in the past when Leonard was on an expedition, but while his relationship with Penny was not quite as strong at the time, he was definitely dating her. Obviously, this is a plotline that is going to have to be revisited in Season 9, and today we learned the show has already hired an actress to play the woman Leonard cheated on Penny with. She’s the beautiful and hilarious Melissa Tang, and you can check her out, below. When Leonard admitted to kissing another woman while he had been dating Penny, it was a pretty big shocker for Penny, but also for the audience that has watched the couple’s relationship go through ups and downs. They continued driving to Vegas at the end of the episode, but it left us with a lot of questions, and the sinking feeling that Penny and Leonard are obviously not ready to get married, after all. Now it looks like The Big Bang Theory is ready to make this plotline so much worse by actually introducing the woman Leonard snogged. Bringing in the Goodwin Games and Mom actress to play the character throws a curve in the Season 9 plot, as well. We know that the new episodes are going to pick up just a few short hours after we last left Penny and Leonard awkwardly driving in the car to Las Vegas. We also know that a minister is in the process of being cast for the upcoming Big Bang Theory premiere. Since Leonard and Penny didn’t turn around to head back to Pasadena and since a minister is going to be involved in the premiere, context clues indicate that Penny and Leonard will at least still be thinking about getting married when the show returns. 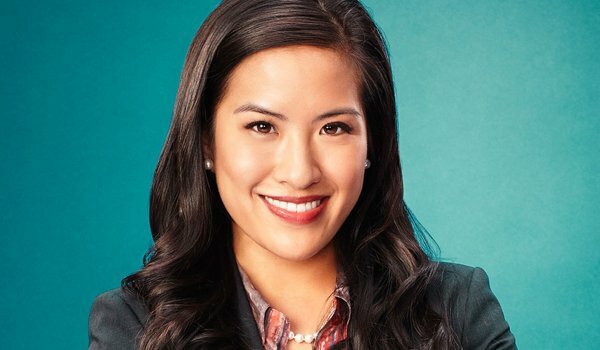 Interestingly, while we don’t know the name of Melissa Tang’s character yet, TV Line is reporting that she will pop up in the second episode of the season. Thus, whatever happens in the premiere will be over and done with by the time that she enters the picture. While I have no idea how the potential wedding plot will play out for Leonard and Penny, the fact that the woman Leonard kissed is in the plot at all is a worrisome sign. The Big Bang Theory usually favors a joke-joke-joke format that works with its loud audience laughter, but even though there were a few funny moments in the scene when Leonard admitted he had cheated, it was still a pretty serious thing to have happened. I have no idea if Penny and Leonard will end up tying the knot, but if they expect their relationship to work, they need to have a few more conversations about the subject before they do. With the 30-minute sitcom format, I have no idea if or how that will be able to play out, however. We’ll find out soon enough. The Big Bang Theory returns to the schedule on Monday, September 21 at 8 p.m. ET. Find out when your other favorites are returning, here.